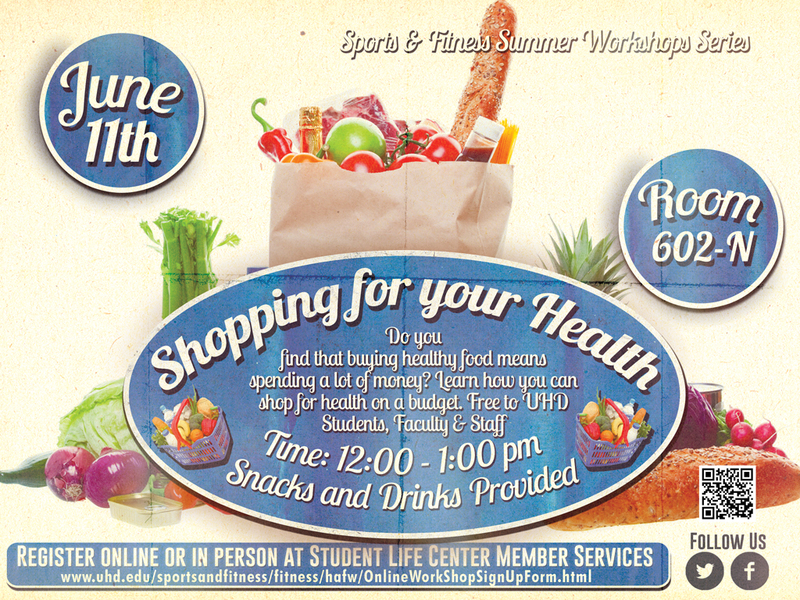 Join Sports and Fitness for their next workshop, "Shopping for Your Health," from noon to 1 p.m. June 11 in 602-N.
During this workshop, attendees will learn how to buy healthy foods on a budget. Snacks and drinks will be provided. Sports and Fitness workshops are free to UHD faculty, staff and students. Register online here.